SummerFit with the kids has been a big success! The kids have been so much fun to have…their energy, excitement and ability to quickly pick up lifts has been awesome to see. 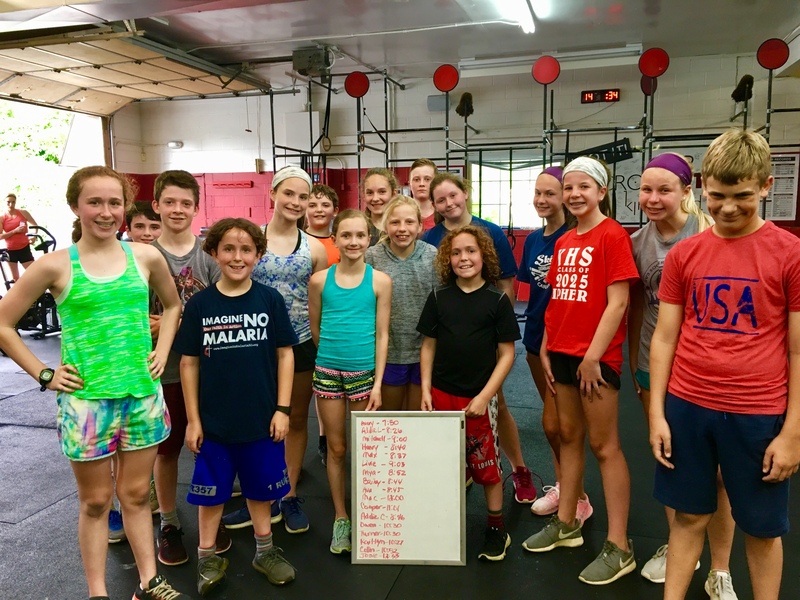 We are going to end “SummerFit” with a parent/child partner WOD at 10:00 on Saturday, August 4th. If your child has attended SummerFit, even just once, come join the fun. If you have more than one kiddo, trainers will be there to partner up as well. Please sign your child up on Mind and Body for Saturday, August 4th ASAP so we can get a head count. Remember, the kids’ program will continue through the school year (Kids’ Fit). Starting the week of August 6th, classes will be held on Wednesday at 4:30 and Saturday at 10:00.